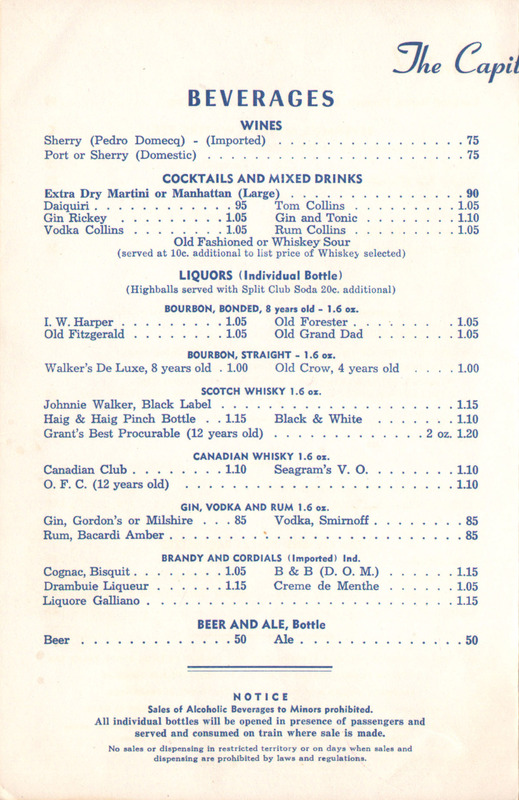 Description A nice example of a "The Pullman Company" menu from 1964 used on the Baltimore & Ohio (B&O) Railroad's The Capitol Limited that ran from Washington, DC to Chicago, IL. 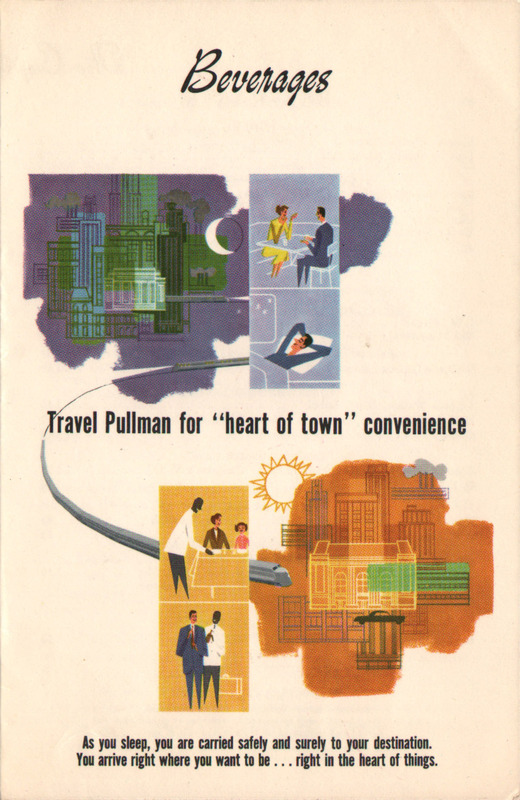 Printed on a stock cover called "The Heart of Town" cover by Pullman. 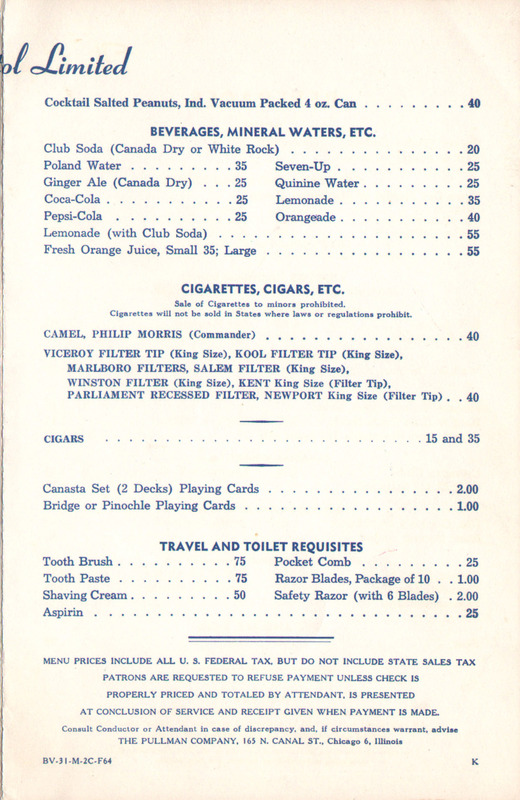 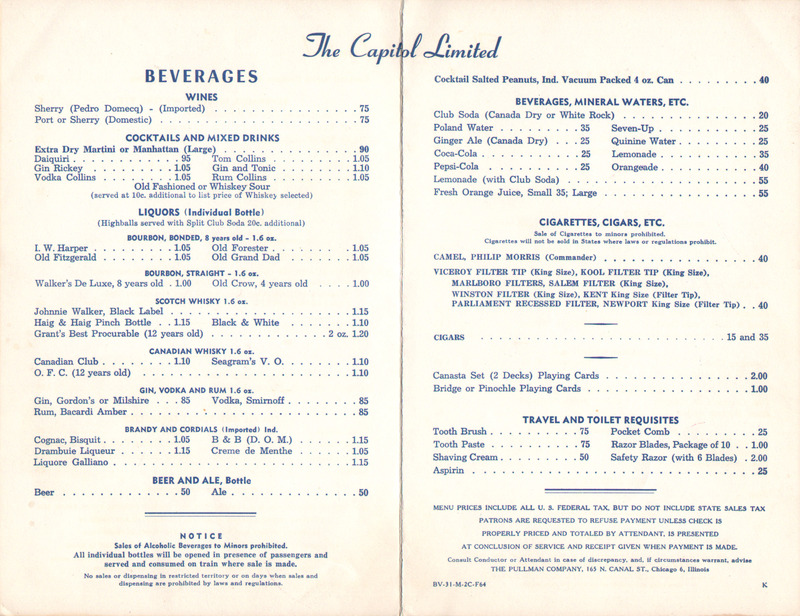 This menu was from a lounge car on the Capitol Ltd. and only listed drinks/beverages as well as travel and toilet requisites. 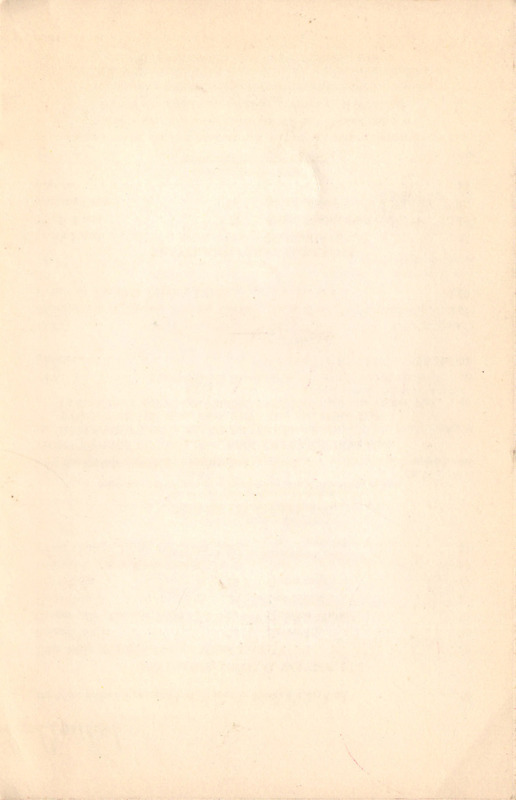 The menu code for this example is BV-31-M-2C-F64.